Success in the Newcastle-under-Lyme Business Boost Awards has helped a professional services business grow its influence with other companies in North Staffordshire. The Strategi Solutions Group were finalists in the 2016 competition and were rewarded with a year-long membership of Staffordshire Chambers of Commerce. As a result, Managing Director Wendy Dean has become heavily involved in Chamber activities, has been elected to the Chamber’s Council and as Chair of the Employment and Skills Forum. Wendy said: “We were absolutely delighted to become finalists at the Business Boost Awards. We had only been trading for just over a year, and the recognition it got us locally was fantastic. We met other like-minded people at the awards evening – it was great to see other businesses achieving the same successes as us. Entries are currently open for the 2017 Business Boost Awards, please log on to www.businessboostawards.org.uk for full details. 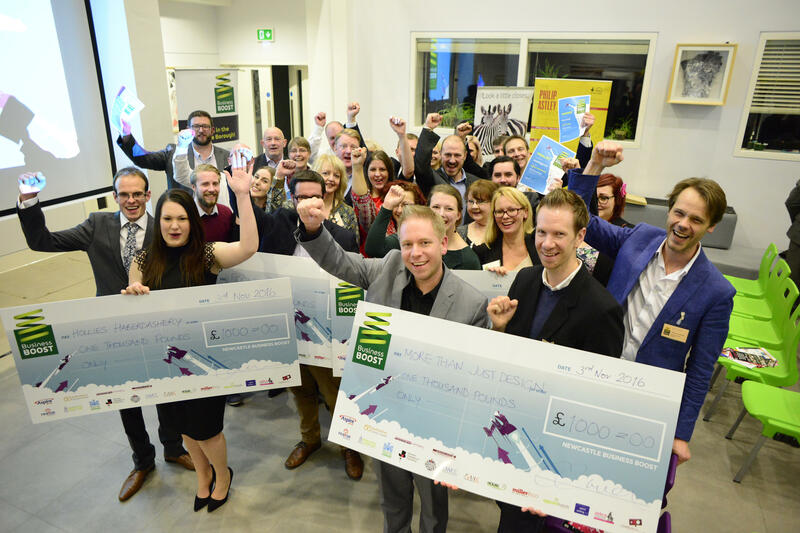 Prizes on offer include cash awards, to spend on business development, part funded apprenticeships, Chamber membership and free stands at the Staffordshire Let’s Do Business exhibition. Strategi Solutions Group was founded by Wendy Dean in 2015. Based in Basford, the company provides expertise across business disciplines including HR and people management, marketing, staff development and graphic design.